This is a game of 113 cards. Each one is an eccentric instruction in the literal sense: where the focus does not correspond to a given point. It is intended for the creator who is in a rut. When an artist is dissatisfied with his sketches, can no longer identify what is worth keeping or removing and is lost in his suddenly fruitless habits, he should then consider his work in progress from a new angle and get an overview using mental displacement in order to rediscover his playful instinct. These crazy recommendations are related to chance. Their strangeness serves to interrupt the predictable and repetitive flow of the mind, to disconnect from a way of understanding a work by proven methods. The artist needs to surprise himself, discover different directions, let himself be guided by the uncertain. For this, he must be estranged from his routines, the logic of which is often questionable, and therefore distort his processes to lose his way productively and treasure his failings such as slips of the tongue: go with the flow of the random. 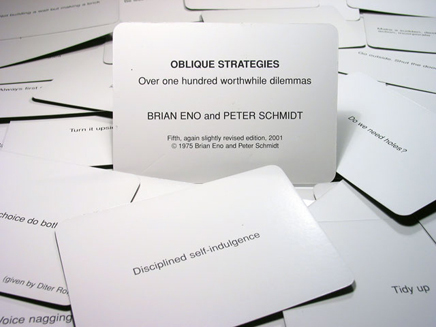 Oblique strategies was a joint invention by the musician Brian Eno and his now deceased friend, the painter Peter Schmidt. The game was first published in 1975 and is now accessible online. 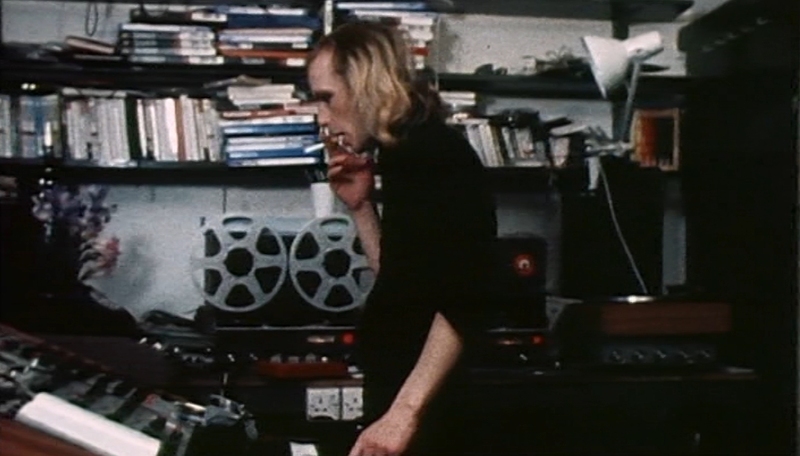 Eno was thinking of musicians shut away in a studio where the accumulation of hours would push up the bill while the pressure to obtain results would make them unproductive. Schmidt was thinking of a painter alone in his workshop. 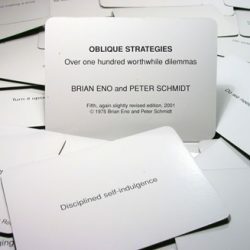 One day, while talking, they were amused to discover that the question that Peter Schmidt asked himself when he was reflecting on a work in progress, “Was it really a mistake?” corresponded to what Eno sometimes advised himself, “Honour thy error as a hidden intention” and which was the first card in the oblique strategies. They can be regarded as a fun and easy expression of the Chinese divination art of I Ching. 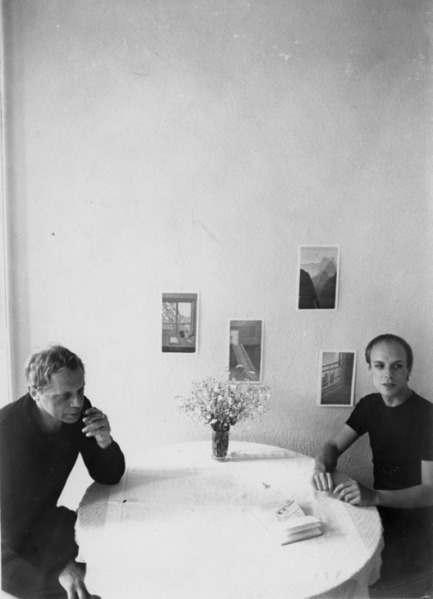 In 1972, Peter Schmidt designed drawings inspired by the hexagrams of the I Ching and Brian Eno was naturally interested in the musical research of John Cage, who had consulted him for assistance for his random process in his compositions, as had Merce Cunningham for his choreographies. 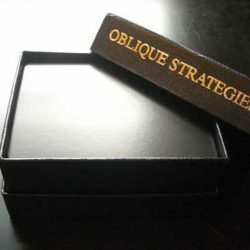 It is a well-known fact that Brian Eno used his game of oblique strategies during his collaboration with David Bowie when recording a trilogy of albums universally recognised as touchstones in the history of pop music, that would act as a catalyst for a new form of avant-garde musical trends which was a matrix of future musical trends. 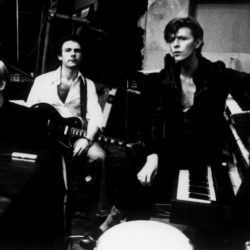 The card “change instrument roles” was experimented with in the title “Boys keep swinging” (in Lodger) where every musician plays an instrument which differs from that for which he is a professional soloist. 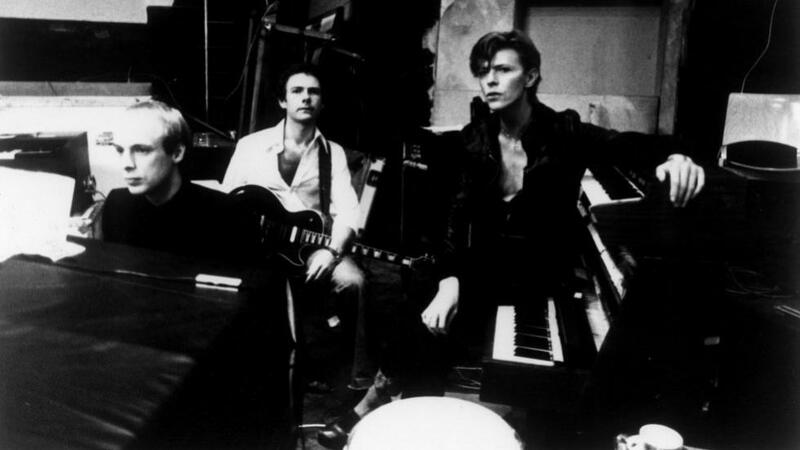 And David Bowie consulted the card “Question the heroic approach” to compose his song “Heroes”, the intensity, obviousness and emotional purity of which made it universal, despite its strangeness. 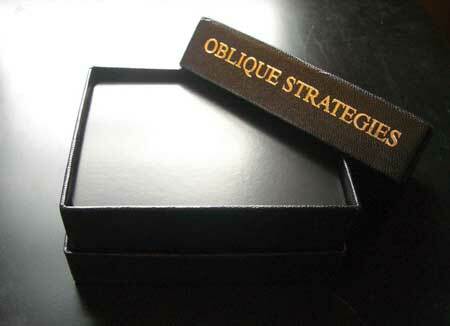 The group R.E.M used the oblique strategies and quote them nominally in the words of their songs. And even more recently, the groups Phoenix and MGMT. 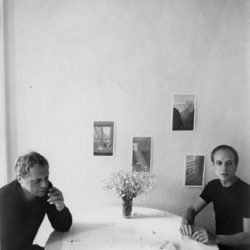 Although Brian Eno advises choosing one card at a time at random, following the advice given apparently unrelated to the action in progress, he does not exclude consulting the game as a set of possibilities to be used in harmony.